​ HOUSTON – Headquarters, a 35,000-sf creative and collaborative office space, has opened in the bayou city’s East End neighborhood. 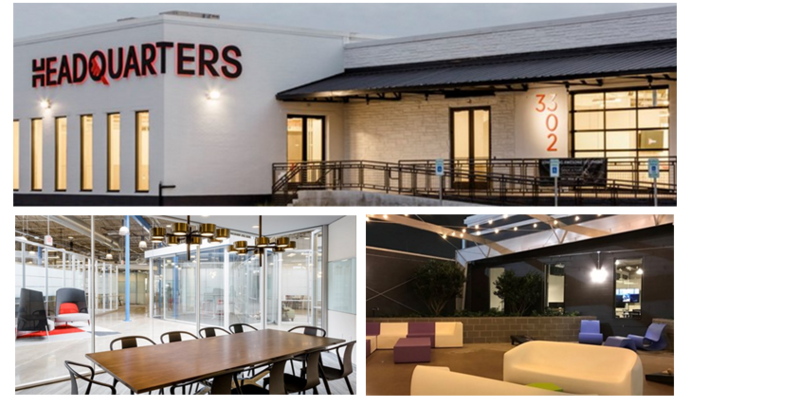 Located at 3302 Canal St., Headquarters features flexible suite sizes that can accommodate anywhere from one to 18 employees, starting at $750 per month. The new office space also includes an option for those looking for less space and more flexibility, which allows a sign-up for month-to-month subscriptions beginning at $450 per month. ​Check out Houston Office Market Research.